Palmarosa has been widely recognized as one of the best natural ingredients that can maintain silky soft and flawless skin. It can maintain normal moisture of the skin but does not make it oily. Same with very oily skin, it can minimize the oiliness but not to the extent of overdrying. Palmarosa seems to know the principle of balanced skin care. Palmarosa essential oil can also be added in foot soak because it can soothe tired feet and can soften hard calluses. 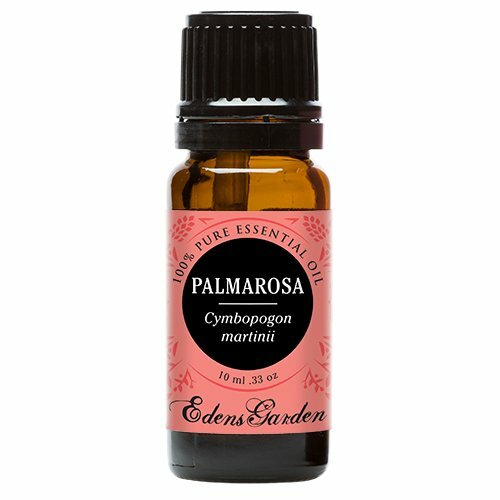 Learn more about Palmarosa Essential Oil or find a great deal on the best selling Palmarosa Oil from the items below! Palmarosa Essential Oil. 10 ml. 100% Pure, Undiluted, Therapeutic Grade. Botanical Name: Cymbopogon Martinii Var Motia Plant Part: Grass Extraction Method: Steam Distilled Origin: India Color: Yellow to light brown liquid. Common Uses: Palmarosa Essential Oil properties include use as an antiseptic, bactericidal, cicatrizant, digestive, febrifuge, hydrating, stimulant (digestive, circulatory), and tonic. It is used extensively as a fragrance component in cosmetics, perfumes and especially soaps due to its excellent tenacity. Aromatherapists recommend it as an oil to diffuse during flu epidemics. Its action against viral illnesses and bacteria - coupled with the attractive smell - make it a great oil to use to disinfect a room. Consistency: Thin Note: Middle Strength of Aroma: Medium Aromatic Scent: Palmarosa Essential Oil has a sweet, floral fragrance with a hint of rose. Cautions: Palmarosa Essential Oil is a dermal irritant. Avoid use if pregnant. 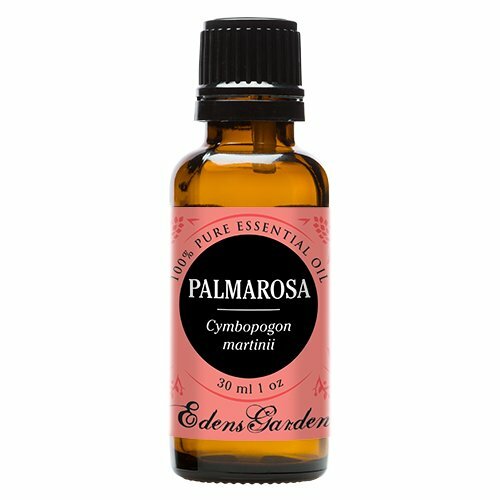 Botanical Name: Cymbopogon martinii Extraction Method: Steam distilled Aroma: Sweet, floral, rosy, geranium-like Origin: Nepal Organic Palmarosa Essential Oil can be used as an antiseptic and bactericide, as a stomachic to relieve the discomforts of flu and high temperatures. It can also be used to normalize thyroid, nervous exhaustion and stress related conditions. Organic Palmarosa Oil is widely used in the perfumery industry for creating exotic blends. History Palmarosa was known as Indian Geranium Oil and used in combination with the more expensive rose oils. The grass grows wild in India, particularly northeast of Bombay toward the Himalaya mountains, Nepal and to a lesser extent, in Pakistan. 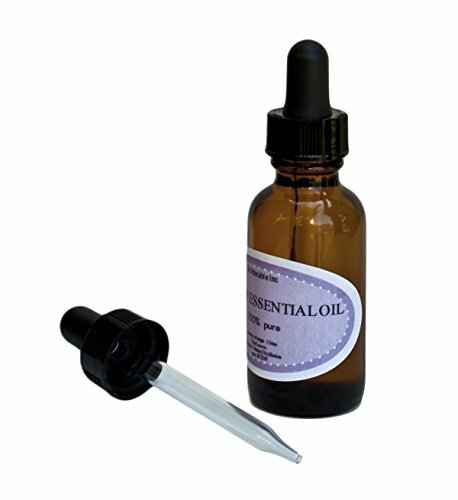 100% Pure Therapeutic Grade Palmarosa Essential Oil Comes in a 30ml amber glass essential oil bottle. European Dropper Cap included. What sets Healing Solutions Essential Oils apart is superior cultivation of ingredients that are the best in the world. Combined with superior distillation and bottling care process, We GUARANTEE that our oils are aromatically superior and more effective than any other oils - if you disagree we will refund your money! The Leading Aromatherapy Associations (Alliance of International Aromatherapists (AIA), International Aromatherapy and Aromatic Medicine Association, Aromatherapy Trade Council, and others) all state that essential oils should not be taken internally (regardless of purity or organic origin) unless under the guidance of a health care practitioner trained at an appropriate level . As such, all of our oils carry a label warning that the product is NOT FOR INTERNAL USE. 100% Pure Therapeutic Grade Palmarosa Essential Oil Comes in a 60ml amber glass essential oil bottle. European Dropper Cap included. What sets Healing Solutions Essential Oils apart is superior cultivation of ingredients that are the best in the world. Combined with superior distillation and bottling care process, We GUARANTEE that our oils are aromatically superior and more effective than any other oils - if you disagree we will refund your money! The Leading Aromatherapy Associations (Alliance of International Aromatherapists (AIA), International Aromatherapy and Aromatic Medicine Association, Aromatherapy Trade Council, and others) all state that essential oils should not be taken internally (regardless of purity or organic origin) unless under the guidance of a health care practitioner trained at an appropriate level . As such, all of our oils carry a label warning that the product is NOT FOR INTERNAL USE. Palmarosa is distilled from a grass closely related to citronella and lemongrass. Botanical Name: Cymbopogon martinii var motia * Plant Part: Grass * Extraction Method: Steam Distilled * Origin: India * Description: Palmarosa is a wild growing plant with long slender stems and terminal flowering tops. The grassy leaf from which the essential oil is derived is extremely fragrant. * Color: Yellow to light brown liquid. * Common Uses: Palmarosa Essential Oil properties include use as an antiseptic, bactericidal, cicatrizant, digestive, febrifuge, hydrating, stimulant (digestive, circulatory), and tonic. It is used extensively as a fragrance component in cosmetics, perfumes and especially soaps due to its excellent tenacity. Aromatherapists recommend it as an oil to diffuse during flu epidemics. Its action against viral illnesses and bacteria - coupled with the attractive smell - make it a great oil to use to disinfect a room. * Consistency: Thin * Note: Middle * Strength of Aroma: Medium * Blends well with: Cananga, Geranium, Bergamot, Sandalwood and Cedarwood. 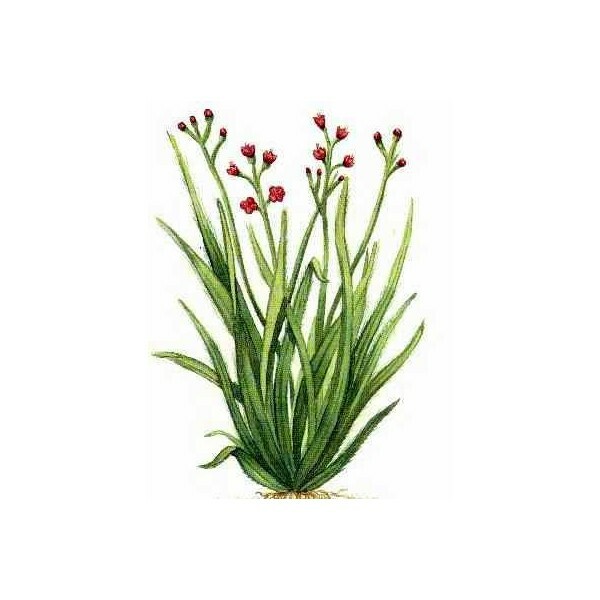 * Aromatic Scent: Palmarosa Essential Oil has a sweet, floral fragrance with a hint of rose. * History: Palmarosa was known as Indian geranium oil and used in combination with the more expensive rose oils. * Cautions: Palmarosa Essential Oil is a dermal irritant. Avoid use if pregnant.